Batman’s an angry guy; that’s just sort of his thing. Batman V Superman: Dawn of Justice will seemingly take the character’s rage to the next level – juxtaposing the Man of Steel’s more hopeful presence with a dark bitterness that comes from years of experience. However, not all of The Dark Knight’s rage will stem from his hatred of Superman. As it turns out, much of his anger will be because of old wounds, and the loss of Robin. He’s bitterly disappointed in the past, that he’s lost this guy who fought by his side. That character’s death must have been devastating to him, and he’s suffered. We get the sense that he’s suffered a lot of devastating losses before this movie even starts. In the source material the death of Robin really seems to be Batman’s greatest failure. He blames himself for the death of his parents during his childhood, but allowing Jason Todd to die under his care represents the moment during his career as the Caped Crusader that he can never truly get passed. 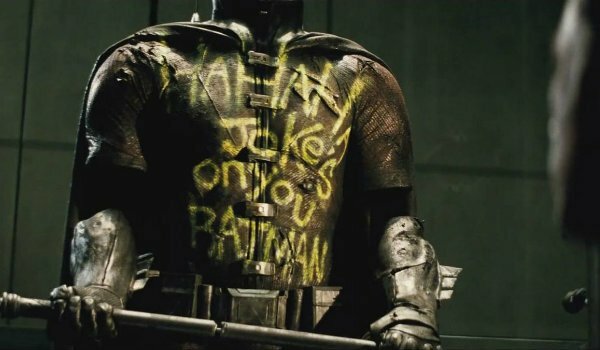 That’s one of the primary reasons he keeps Robin’s suit on display in the Batcave – so he can constantly remind himself of the partner he let down, and keep himself motivated to fight the good fight. Honestly a therapist could probably have a field day with this guy. 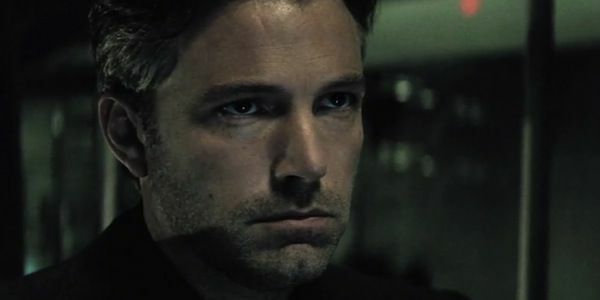 Even if Robin somehow returns in a future Batman movie, it’s unlikely that Bruce Wayne will ever forgive himself for what happened to his partner. To see Jason Todd turned into the Red Hood, or Tim Drake turned into The Joker would only further amplify the sense of remorse he has for losing someone who wholeheartedly trusted him. If Superman’s weakness is his struggle against public opinion, then Batman’s is his overwhelming guilt complex. To really do some damage against The Dark Knight’s psyche, Superman could find a way to remind Batman of the Robin he failed to save. Of course, that possibility leans heavily on the idea that Superman would be willing to stoop to Batman’s level in order to win, something we’re not sure could happen in this coming movie.